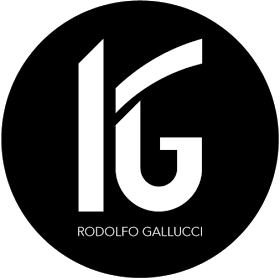 My name is Rodolfo and I’m 32 years old, I’m a Web and Graphic Designer. I’m a pretty outgoing person, kind, nice. What I prefer more than me is my tenacity, in fact, I’m very determined and I like to face new adventures. I feel a creative person and very curious. I am an energetic, ambitious person who has developed a mature and responsible approach to any task that I undertake, or situation that I am presented with. As a graduate with four years’ of experience in graphic design, I am excellent in working with others to achieve a certain objective on time and with excellence. I call myself a perfectionist (a lot of attention to details and design rules) and at the same time minimalist. I believe in “Less is more” . What I keep most of, besides my job (I love it), are my hobbies, including watching TV shows, reading, eating and experimenting new flavors, physical activity, but above all, traveling that allows me to know the customs and traditions of places that I visit. Bachelor’s degree in Graphic Design, 110 with honors. Project title “Less is more“, a minimal electoral campaign. High School Diploma with examination 80/100. maximizing usability and the user experience. Frontend code development. My work was the creation of the styleguide for the corporate communication purposes. Among the main jobs, brand diffusion, customer-targeted newsletter creation, corporate website development and updating, catalog design and communication design for indoor exhibitions. My work was the creations of the guidelines for websites for companies. Also, I was focused with the analysis and reinterpretation of the site statistics in order to implement web marketing campaigns aimed at enhancing the company brand. Restyling of the brand and the website, new user interface and user expererience, update the website and design of the quarterly magazine of the association. My work was the development of the guideline for customer brand development through advertising campaigns, web marketing, newsletters, web site creation and social page management. Initially, I was focused only with web design, but after I have integrated brand design, advertising, web marketing, newsletter and social page management.